When you spin the Roulette wheel, you aren’t just spinning to win. You’re spinning a piece of history. Today, we’re taking a look at the history of the Roulette. You might have previously read about the history of Roulette, but in today’s post we’re focusing on how the online world has changed everything. We hope you enjoy it. Roulette’s routes can be traced back all the way to 1655 when a scientist tried to break the laws of physics. We’re serious. The invention of Roulette has nothing to do with gambling and everything to do with science. It was back in the mid 17th century that Blaise Pascal tried to create a perpetual motion device. Basically, he wanted to build a wheel that would keep rotating without any added energy or help from an outside source. His invention didn’t work. The wheel stopped, as science and physics dictate it must. But his experiment did give birth to one of the greatest casino games in the history of the world. By the late 1700s, Pascal’s invention had been adopted by the French elite, become popular among Parisian royalty. 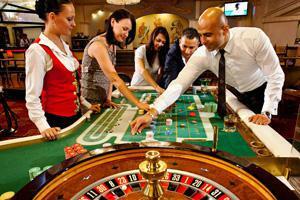 They created a Roulette game similar to what we see today at live casinos and their online counterparts. But even though the game was a blast, it wasn’t generating a ton of money. That all changed when Monaco introduced a second zero, increasing house odds. The house gained a bigger edge, and it first thought it might seem as though people wouldn’t play with the bigger house edge. However, France had just outlawed gambling and Monaco was becoming a gambling hub. Players weren’t bothered by the single zero. By the late 1700s, Pascal’s famed perpetual motion machine was moving money among the Parisian elite. The game of Roulette quickly became popular among French royalty, incorporating many of the components we see in today’s Roulette game. When the Europeans crossed the pond, they brought with them new casino games that locals had never seen before. North Americas, with a healthy appetite for gambling, quickly took to the games. And the rest is history. In the early 2000s, something big happened in the world of Roulette. Instead of waiting for that once-a-year vacation to Las Vegas or your favorite not-so-local casino to play Roulette, the game appeared online at an Internet casino. 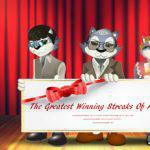 Today, online casinos are ridiculously ubiquitous. While we’re one of the oldest online casinos on the planet, there are thousands of other sites competing for your business (competition keeps us on our toes, which is why we continue to offer the best promotions in the biz). The graphics of the earliest online Roulette wheel were pretty archaic. We’re talking a Roulette wheel that spun in the most unsmooth way humanly possible. But by the standards of the day, it was pretty incredible. As time went on, online Roulette evolved. 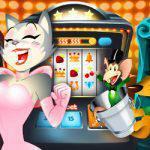 Graphics improved to resemble a real-world online casino. And animations became incredibly smooth, so impressive that you might think you’re look at an actual Roulette wheel. If you live in the United States and want to play European or French Roulette, in the past, you needed to hop on a plane and head to Europe. And if you lived in Europe and were craving the American version, you needed to hop on a plane and head to the United States, Canada, or some spots in the Caribbean. 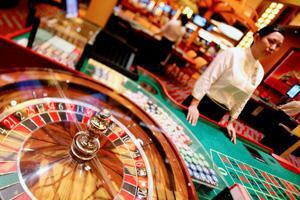 But that changed several years after the introduction of online Roulette. When the game was first offered online, the flavor was primarily restricted to the geolocation you found yourself in. So, if you were in North America, you’d only see American Roulette. If you were in Europe, you’d only see European Roulette. But the Internet opened players’ eyes. Suddenly, casino players became more aware of the varieties of online casino games available to them, not to mention all the flavors of Roulette. 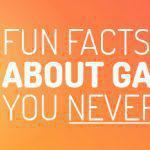 It also gave Internet gambling sites more opportunity to please players. 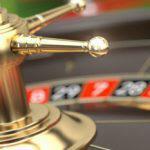 There is no rule or law restricting players from accessing American Roulette in Europe or European Roulette outside of Europe, so why not offer everything to everyone? 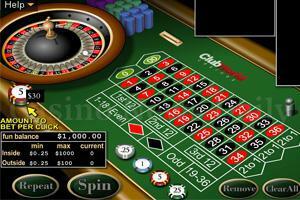 Today, you can play several flavors of Roulette online at sites like this one. The thing about online Roulette is that it lacks the benefits of live Roulette where you get to play against actual people. But online casinos aren’t ones to disappoint. So fairly recently, they introduced Multiplayer Roulette. The game is much like online Roulette, only instead of just you against the house, there are multiple players enjoying the game with you, placing bets alongside you. The game is a bit slower than regular online Roulette, primarily because you need to wait for other players to place their bets before the wheel gets moving. But Multiplayer Roulette is a great way to learn Roulette strategy as you can watch how other players are betting and mimic their wagering patterns. As online Roulette evolved, people became more and more impressed. But not everyone loved the online experience. Some people still felt the real deal was way better. 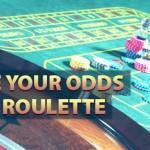 So to appease that crowd, major online casinos like ours introduced live dealer Roulette. Instead of relying on an RNG (that’s Random Number Generator) to determine the results of each spin, live dealer Roulette incorporates a real Roulette wheel and areal croupier. It all comes to your computer through the magic of a direct video feed. 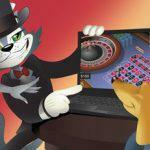 You bet using your cursor just as you would with online Roulette, but the results are generated by an actual dealer. It’s just like being at a real casino, except you can play from the comforts of home. 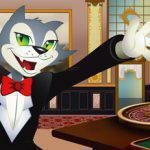 In the mood for Roulette? 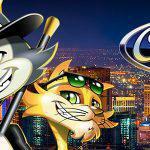 You can play online right now at CoolCat Casino. Just create a free account and you’ll be good to go.